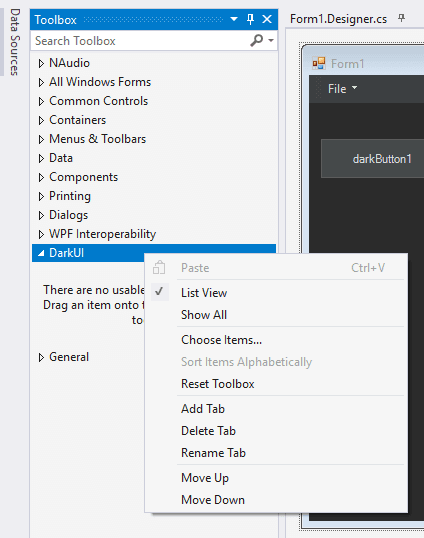 DarkUI is an attempt to create a simple, extensible control library which emulates the look and feel of popular tabbed document interfaces such as Visual Studio, Photoshop, WebStorm, and XCode. Originally just a collection of bug fixes and enhancements built on top of WinForms, it has now evolved in to a fully working docking and control library. Is important to notice that the library won't automatically make an existent project with a darker interface, instead this library creates new Controls that you can add on your project. In this article, we'll explain you how to build the DarkUI dll to use it in your own projects and so implementing a dark UI. 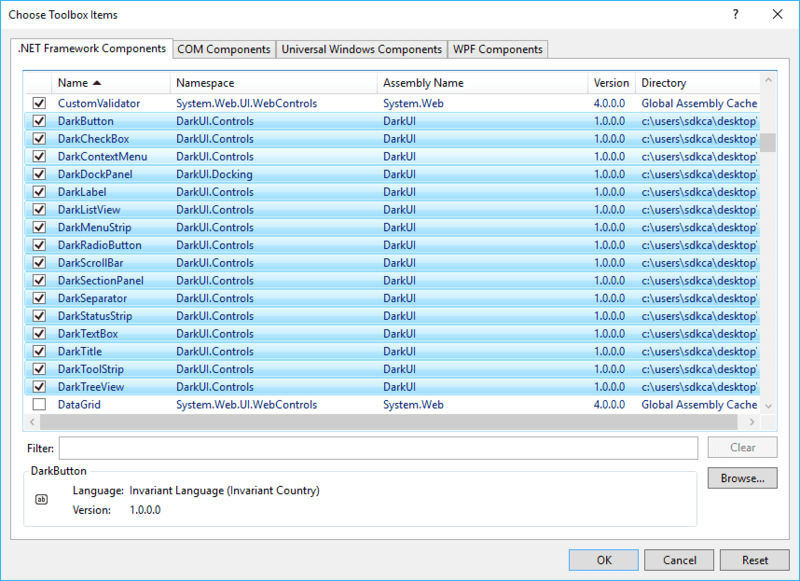 After starting the build, which shouldn't take a lot of time, you will find in the project of DarkUI in the path DarkUI\DarkUI\bin\Debug a DLL file namely DarkUI.dll. 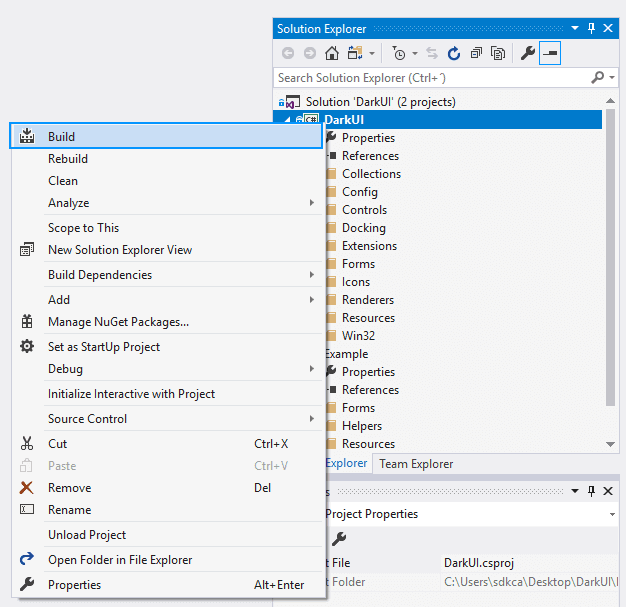 You will need to reference this DLL from the project that you want to use this library. For more information about this project, please visit the official repository at Github here. 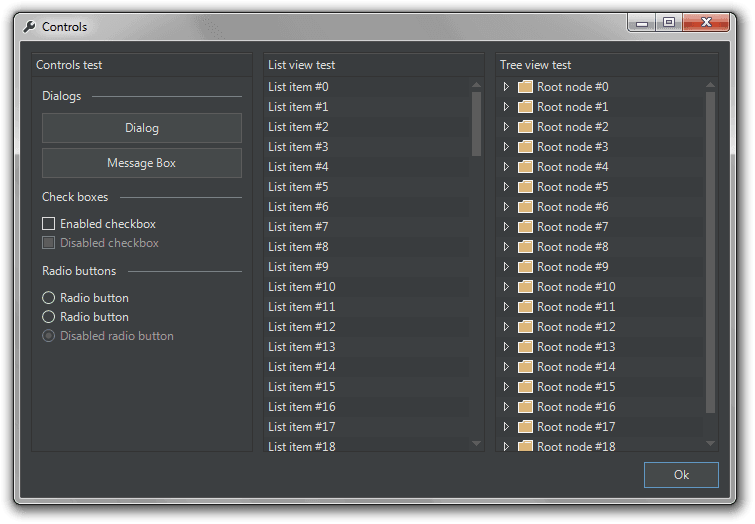 Click on Ok and that's it, now you will be able to drag the components from the toolbox in your project. As a nice design tip, if you don't change the extend class of the Form, you can set the background color of any form to rgb(60, 63, 65), so the background will be always darker than any of the controls offered by the library. 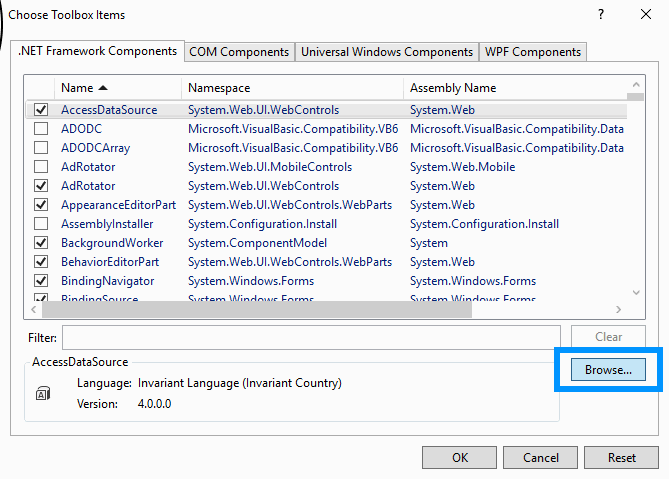 That was basically everything you needed to use a dark interface on your WinForms application. 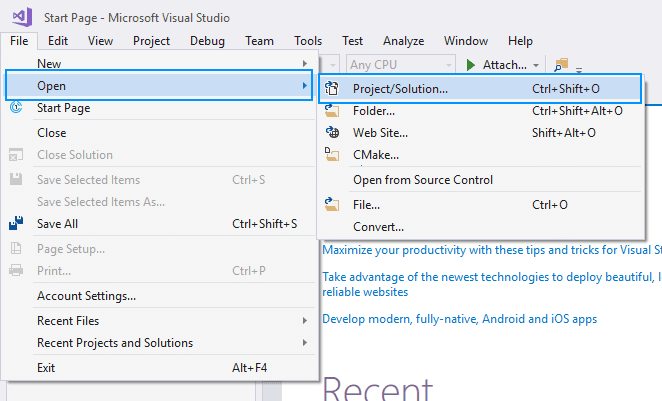 You can check out the Example project included with the source code. It'll show you how to use the majority of the forms, controls, and docking components. You can also read the GitHub project wiki. This contains all the information you need to get started as well as more detailed information and guides.